" Wonderful food and amazing crew! Extremely professional and friendly. 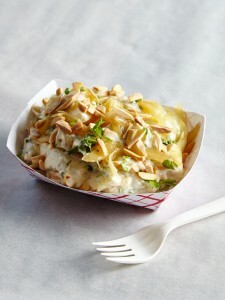 I hope to utilize Jerry's Kitchen truck at our next company gathering! " " They were very easy to work with, organized, on time and the food was delicious! They produced a fantastic menu for us which included their chicken tenders and popcorn cauliflower. Scott and his team handled a long line all day and night at the event and served until everyone was fed. " 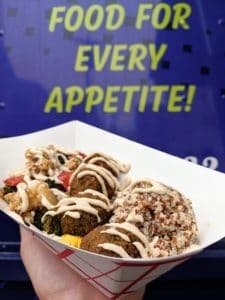 " Hired the food truck for a corporate event - 100+ people. They arrived on time and delivered exceptional service. The food (chicken sandwiches, tacos and pulled pork) was fabulous! Highly recommend! " " Jerry's Kitchen did the catering for my son's carnival themed 1st birthday. Everything was wonderful! Scott was so easy to work with in setting things up and patient with my ever changing guest list. " 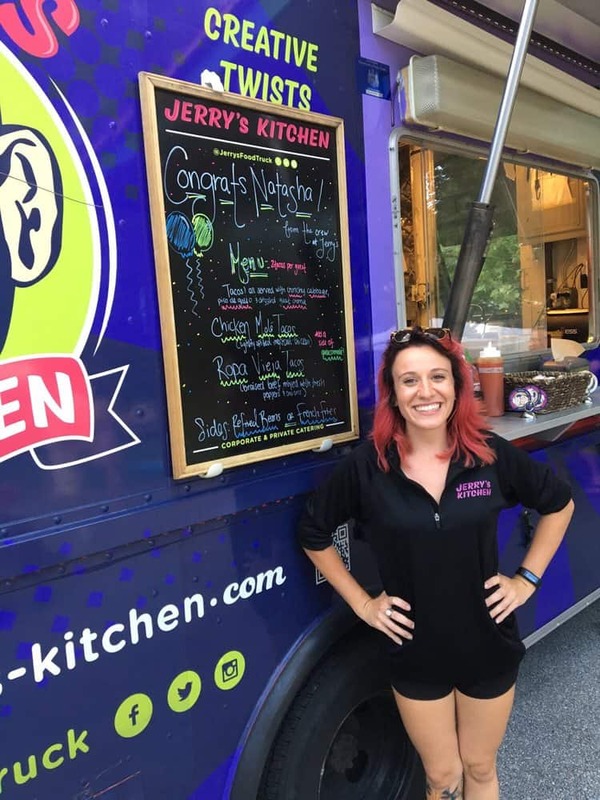 " We had Jerry's Kitchen to our home for an annual fall party...the truck backed up the driveway and got to work. The look on our guests faces was that of pure joy and excitement. Everyone ate well and was happy. The foods was delicious, the presentation was beautiful and the service was spectacular! I would recommend Jerry's kitchen to anyone. " 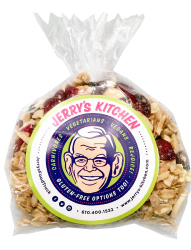 Jerry’s Kitchen is a full-service catering company that serves indoor as well as outdoor parties and our state-of-the-art food truck will always be at the heart of what we do. It’s just plain fun! Who doesn’t get excited when they see a gleaming mobile kitchen roll up at a party and smell the delicious food being prepared inside? There’s something special about walking up to a food truck and eating your meal hot and fresh right from the window. Our clients love choosing Jerry’s to cater their cookouts, family reunions, and birthday parties because we know how to let the good times roll! We take the stress out of party planning, leaving you free to enjoy the company of your guests. Depending on the cuisine and menu, our food truckis often a less expensive option as compared to a traditional on-site caterer. We offer many of the same services including bussed hors d’oeuvres, uniformed staff, set up, clean up and special menu item requests. Our catering cuisine includes everything from global foods to fried favorites, tasty appetizers, healthy items, and soup. 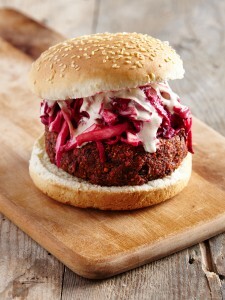 Jerry’s Kitchen serves modern twists on traditional American foods. Some favorites are our Pulled Chicken sandwich with homemade barbeque sauce and beet slaw on brioche and our famous truffle mushroom chicken cheesesteak. And the party doesn’t stop with dinner! Jerry’s Kitchen has the lock on delicious sweets and serves everything from homemade donuts to cupcakes to cookies. Imagine your guests taking home a doggie bag of delicious desserts plucked right from a food truck waiting for them in the parking lot. If your event is being held indoors you’ll still be able to enjoy food truck catering. Jerry’s Kitchen is equipped to serve guests inside with the proper utilities and ventilation. Gourmet, restaurant-quality food from a mobile vendor. 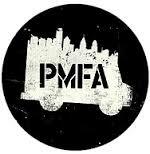 Modern food trucks provide much more than the simple fare usually associated with the concept. Trucks like Jerry’s Kitchen employ professionally trained chefs, courteous staff, and conscientious catering coordinators. The whole team is focused on the quality of our food and the happiness of our guests. If you’re looking for other services for your event, we can provide tent rental, linen and china rental, servers, maître d’s, and bartenders as well. Let the folks at Jerry’s kitchen help make your next event fabulous. Book now to reserve your date or schedule a free (deposit required) tasting. Most of our parties include two hours of food service and one hour of setup time. Additional time is billed by the hour. How long will it take my guests to receive their food? Our food truck menus are optimized for super speedy service. We can feed approximately 2-5 guests per minute. What about if I have 200 guests or more? 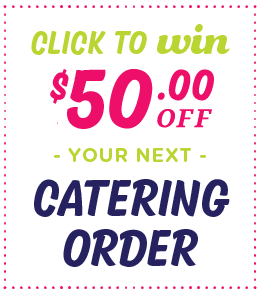 Food truck catering is still for you! We’re happy to set up buffet lines and/or stations while the truck prepares fresh food onsite. Do you provide servers, bartenders, and attendants? Yes! Let us know what you’re looking for and we’re happy to provide pricing and options for staffing. All staff members have a 2 hour minimum. Do you need power or water hookups? We’re completely self-sufficient, no need for anything else on site. We do use a quiet generator but can plug into a standard 3-prong (grounded) outlet if you’d prefer. Where should the truck be situated? Please make sure the truck has 25 feet of flat ground to park serve. Note: if there are any steep hills, low bridges/underpasses onsite or en route to your event please let us know. How do I reserve the food truck? We require a $250 deposit to reserve any date. Where can I taste your food? Private tastings at our kitchen in Philadelphia are included with deposits for most events. What is your coverage area/how far do you travel? No matter where your event is being held Jerry’s truck or one of our food truck friends can be there. Are there any other fees relating to the food truck? We don’t have any travel, setup, event, or admin fees. Pricing however, typically does not include local tax or 18% gratuity. We prefer secure online payment with most major credit cards, eChecks, PayPal, Square, or Venmo. Do you offer special financing or payment terms? In most cases we can set up free monthly or quarterly payment plans. How do you handle leftovers? Anything that we’ve prepared for the event is yours to keep. If there are leftovers they team is happy to pack everything up for easy storage.